I took hundreds of tulip photos last weekend but don’t worry, I won’t post all of them at once! After today we’ll take a break from the Skagit Valley pictures and tomorrow will bring something new to see and talk about. Love, love these tulip photos! Thank you, Lisa! You’re very welcome Amy, thanks for such a nice comment! Wow Lisa! A picture can only capture so much. In person this must have been an amazing sight. These photos make we want to head to Skagit … but then I think of the crazy traffic jams, and maybe enjoying it through you is less stressful! I’m up here. I really need to get out to the fields. If the sun ever comes out again. Beautiful photo. Thanks Cassie, I hope the sun comes back soon too. 🙂 If you get a chance to see the fields mid week they should be beautiful! Wooo! Where is this? The Netherlands? This is beyond gorgeous!! What a place! What a beautiful sight that must have been in person! 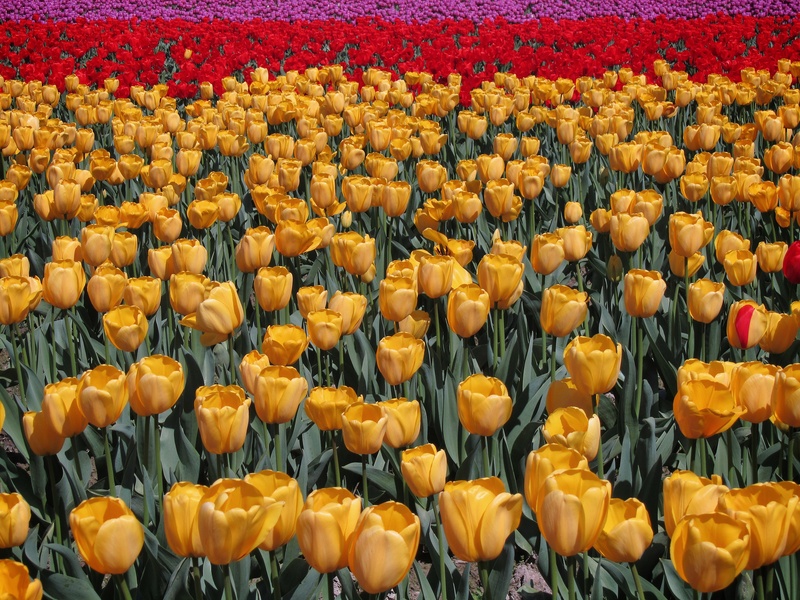 Thank you for sharing the view-I never get tired of looking at tulips! Thanks for your visit and comment today, Paula! I hope your work has settled down and your trip was wonderful and relaxing! so beautiful! missed them this year. last year i missed them by a couple of days – all the fields were bare. this year my schedule was too full. i must keep April open next year, LOL. thanks for sharing. You’re welcome, Kris. 🙂 I hope you make it next year!